We've had two emails recently about the Let It Be show and thought the news was worth sharing here. 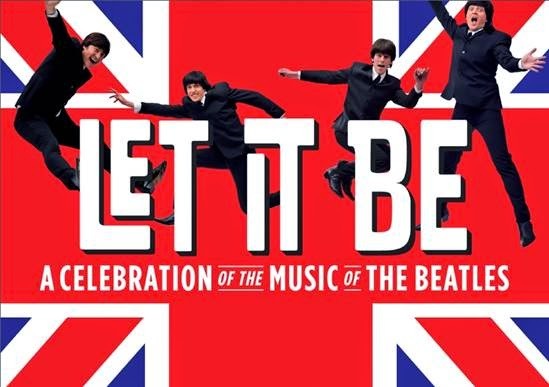 Let it Be has moved to the Garrick Theater and to celebrate this, the Waldorf Hotel has created a Beatles Themed Suite. Rebecca Felgate recently conducted an inteveiw with the cast of Let It Be (the Beatles Musical in London)from this new Beatles themed suite at the Waldorf Hilton where fans can pay to stay. Read the interview and here the songs here. The show is also going to Liverpool to relaunch Liverpool's Royal Court Theatre. The press release for that is below. The International hit show that celebrates the music of The Beatles is coming to their hometown later this year to mark the official re-launch of the multi-million pound refurbishment of the Royal Court Theatre in Liverpool. Direct from London’s West End, LET IT BE will run for 5½ weeks from Thursday 8 October – Saturday 14 November 2015. 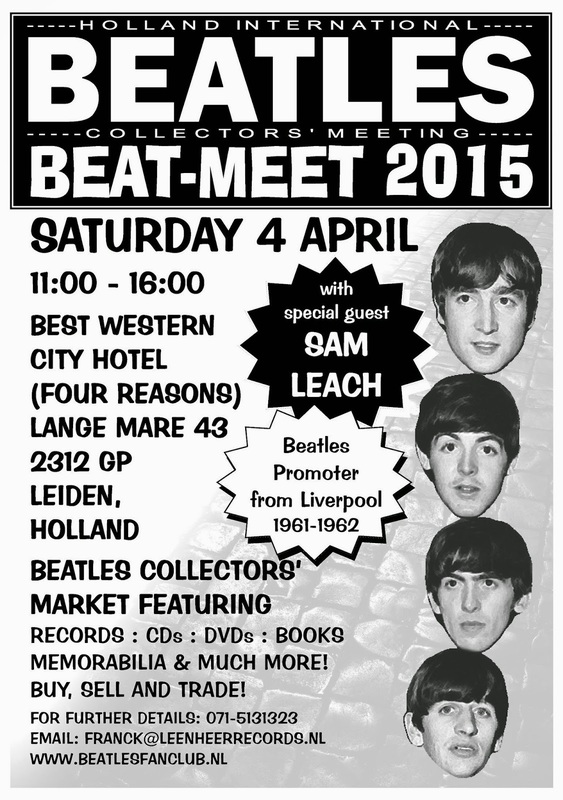 The opening is also set to coincide with John Lennon’s 75th birthday which falls on Friday 9th October. Tickets Sale to Group Bookers on Monday 23rd March at 10am. Public Sale opens Monday 30th March at 10am. The soundtracks to the legendary 1964 Ed Sullivan shows have recently been released on multi-coloured splatter vinyl by Coda Records. 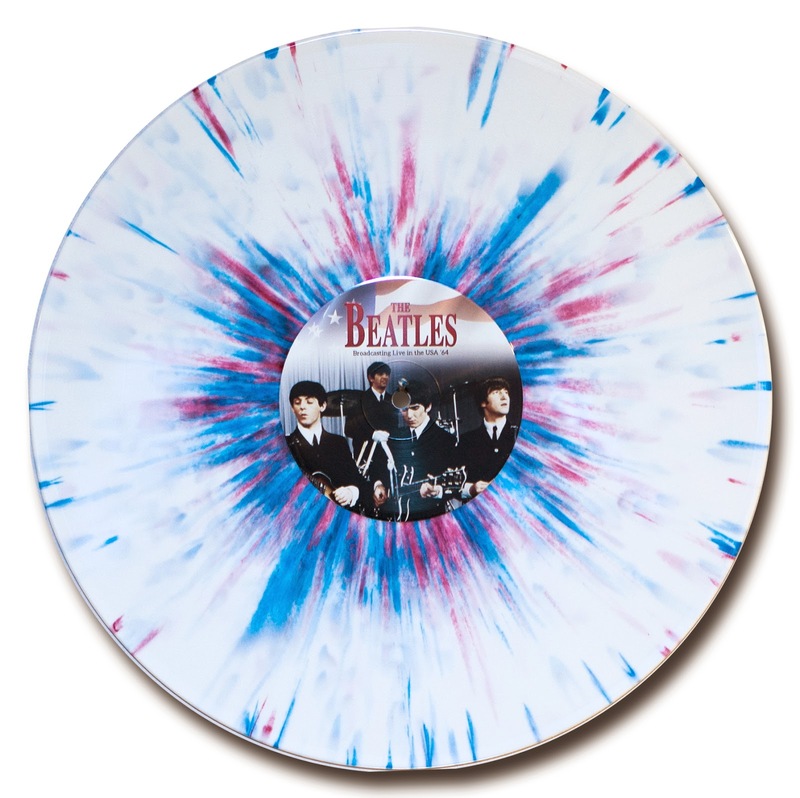 This is the ultimate Beatles Collectors item, like your own fingerprint, the abstract colour pattern on each disc is individually created by skilled craftsmen during the production process at our record plant and is guaranteed to be different from every other copy in the world. The really good news is that the audio quality of splatter vinyl is every bit as good as regular vinyl with the result that splatter vinyl combines the artistic appeal of a picture disc with the audio fidelity of a regular pressing. To add to the exclusive nature of the offering the whole splatter run is limited to only 500 hand pressed copies . 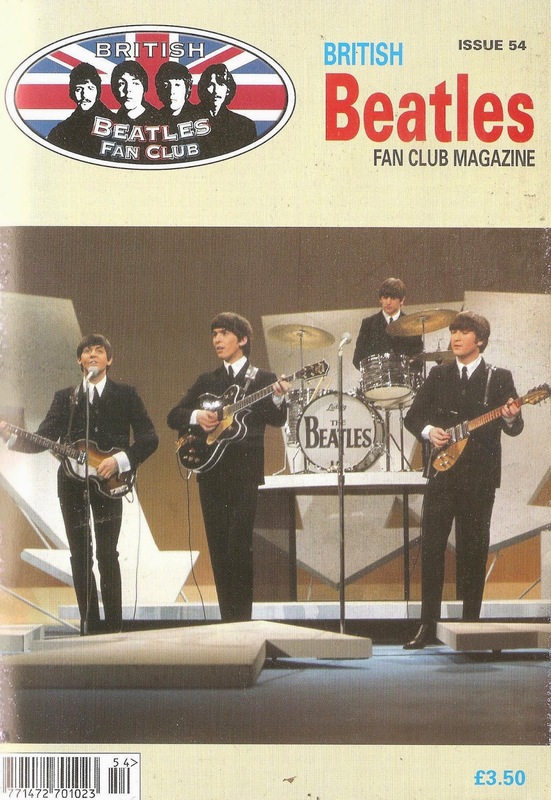 This is your opportunity to own the ultimate Beatles collectors item, a unique piece of Beatles history which is individually your own. The 500 copies forming the entire production run are on sale from amazon.co.uk priced at just £19.99 demand has been very high, so if you want one for your collection you must act now.